Vibration-activation, light up your cabinet automatically when opening door. Each sensor light powered by 3 standard LR44 button batteries (included). Easy install, simply self-adhesive to the hinges in your cabinet. 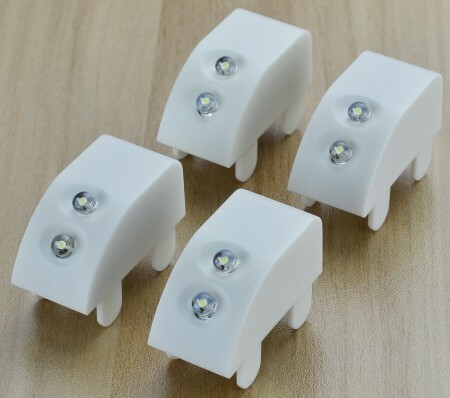 Surpahs Cabinet Door Vibration Sensor LED Light 4Pc Set. Simply attach the lights to the hinges, and it will automatically light up your cabinet when you open the cabinet door.